You thought Disney was just for children? Well, think again! It may be the place where you can feel like a kid again, but Disney is a destination designed for adults too! Don’t believe me? 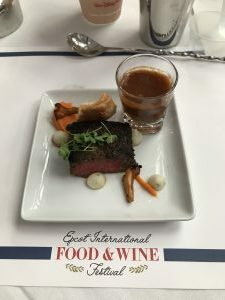 Take a trip to the Epcot International Food & Wine Festival at the Epcot Resort at Walt Disney World in Orlando, Florida and experience all of the grown folk offerings. This year running Aug. 31 through Nov. 13, the festival has become so popular with tourists and locals that it has grown from a 30-day festival when it began in 1996 to 75 days now. 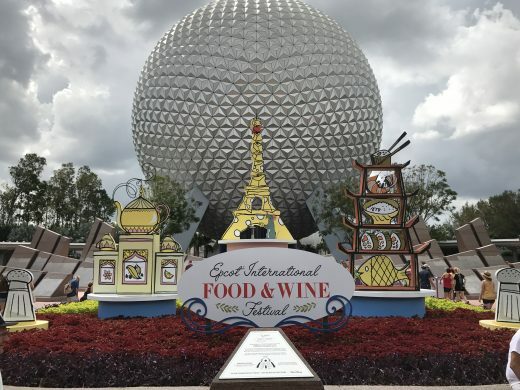 Epcot International Food & Wine Festival is a carnival of culinary mastery, showcasing nationally renowned chefs, restaurateurs and an assortment of foods and spirits from all around the world. 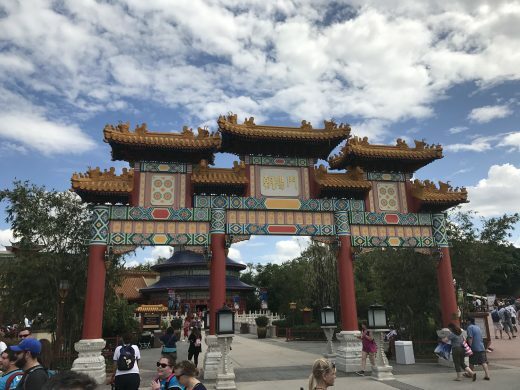 Ranging from $4 to $8, the mini-serving Marketplaces (as Disney calls them) arranged around the World Showcase lagoon allow visitors to sample items from a superb array of nearly 30 countries. This year, Epcot featured over 35 food kiosks serving more than 200 items, which can be purchased a la carte. Each Marketplace typically offers three tapas-sized dishes, a dessert, and several adult beverage offerings. A featured attraction Epcot International Food & Wine Festival is ABC’s “The Chew.” The hit daytime talk show broadcasts live for one whole week mid-way through the festival, but the hosts Carla Hall, Mario Batali, Michael Symon and Clinton Kelly also offer their “Chew”-approved dishes throughout the food stations. One of their selections, Korman Chicken from India, was my absolute favorite of everything I tasted. 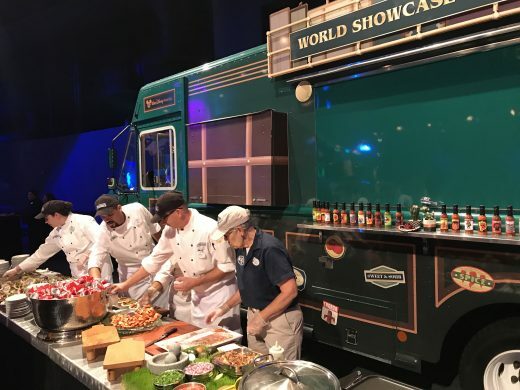 This global food and beverage tasting offers a variety of activities, from free meet-and-greets with winemakers, to ticketed celebrity chef demonstrations. The Festival Center also hosts food and beverage exhibits, food talks, and a variety of seminars and events. One of the many highlights of the Epcot International Food & Wine Festival is the elaborate Party for the Senses. It’s the Super Bowl of tasting expos and one well worth its additional $300 ticket price. Top chefs serve samplings of their signature dishes and libations, while guests mix and mingle and enjoy a variety of performances. The weekend I attended, Party for the Senses was themed after Disney Springs – the Walt Disney World destination formerly known as Downtown Disney. 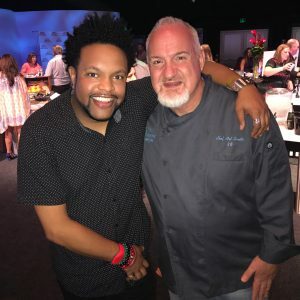 The event featured celebrity chefs and Disney Springs restaurateurs Chef Art Smith (Chef Art Smith’s Homecomin’) and Iron Chef Masaharu Morimoto (Morimoto Asia); as well as performers from Disney Springs venues. Gospel music ensemble, John Polk & 1Voice, who perform each weekend at Disney Springs’ House of Blue, delivered a show-stopping closing performance during Party for the Senses. And speaking of performances, another great attraction at Epcot International Food & Wine Festival is their Eat to the Beat concert series. Sugar Ray was headlining the night I attended, but other acts like from Boyz II Men, Kenny G, Jeffrey Osbourne and Hanson were also slated to hit the stage at the American Gardens Theatre throughout the festival. While at Epcot, be sure to take in the Illuminations fireworks show; visit the American Heritage Gallery of art that currently features Family Treasures from the Kinsey Collection; and enjoy park rides like Soarin and Test Track. For additional Disney offerings: Use Disney’s Magic Your Way Tickets with the Park Hopper Option to view some other Disney attractions. Want to relive your youth? Well visit Disney’s Magic Kingdom for Mickey’s Not So Scary Halloween party and parade. You’ll see all your favorite Disney characters; dance around to custom Disney Halloween songs by Jennifer Holliday and Raven-Symone; and if you’re brave enough, take a ride on my favorite roller coaster Space Mountain! You can never go wrong taking a ride on Disney’s Kilimanjaro Safari in Animal Kingdom. The journey through Disney’s faux Africa is quite enjoyable, and seeing all the amazing animals (lions, elephants, giraffes and more) is remarkable. Afterwards, take a walk through the Gorilla Falls Exploration Trail to cap off the experience. A must-visit is The Flight of Passage at Pandora in Animal Kingdom. 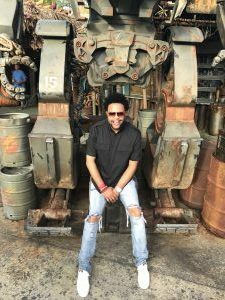 The “Avatar”-themed ride is virtual reality at its finest, showcasing the innovative creativity of Disney imagineers and giving both fans on those unfamiliar with the movie a not-so-roller-coaster experience of a lifetime. And for added value, you can even have an “Avatar” action figure made in your likeness after the ride. It takes about 45 minutes and it’ll run you $80, but it’s an authentic keepsake that makes it worthwhile. Previous article Previous post: Racial Tension is Hurting My Marriage: How Can I Support My Black Husband?